August 2015: HMS Queen Elizabeth’s S1850M long-range air search radar went live for testing. February 2009: United Kingdom selected Thale’s S1850M radar for new aircraft carriers. June 2005: The United Kingdom bought a follow-on contract for seven S1850M radars. April 2005: The first S1850M radar was in full operation at the Horizon Short Integration Facility in Toulon, France. January 2005: First S1850M radar shipped to France for Horizon frigate program. 2003: Delivery of the first S1850M radar system. 2001: Initial rate production of the S1850M began. 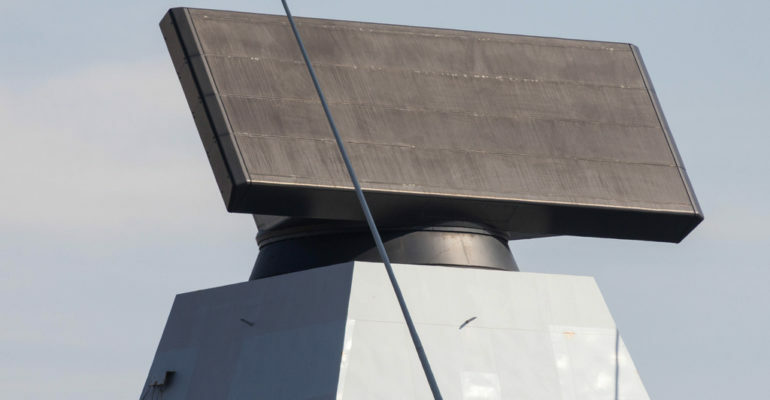 1994: The S1850M radar system was selected to replace the French Astral radar as the primary long-range search radar for the Anglo-Italian-French Common New Generation Frigate.